Students in the Honors Biology classes take a 3-day field trip as part of their ecology unit. One part of that includes field data collection at different locations along a section of the Lower Salt River outside of Phoenix. 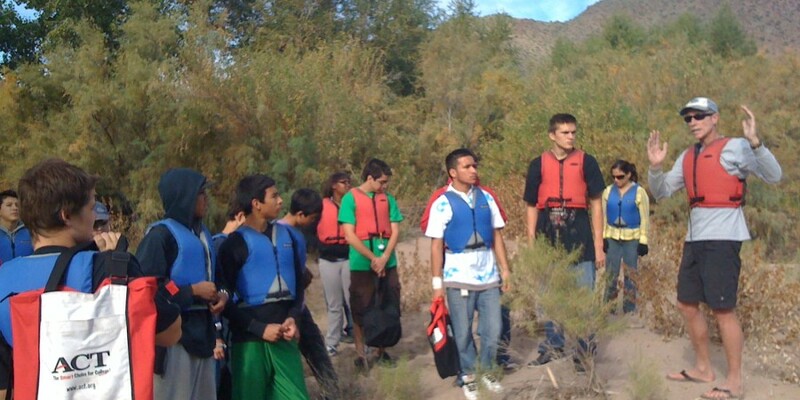 These students, many of whom have not been outside of the city their whole lives, interact with the environment in a way that connects them to it. Their understanding of ecosystem interactions is real because they experienced it for real. They do not rely on a virtual or contrived experience in this unit: they live it!